Have you made the decision to sell your business? Let our experienced team assist and guide you through the process. Business owners often have varying circumstances and different reasons for wanting to sell their business. Our job is to understand your unique situation and provide services to expedite the sale process as well as assist in negotiations. We guarantee to provide you with professional, ethical and confidential service. We will keep you informed every step of the way and make the transition completely seamless. Whether this is your first time purchasing a business, you currently own real estate investments or a businesses and are looking to add to your portfolio, we are committed to providing you with the highest quality service. When making the type of investment that buying a business, commercial or investment property requires, you deserve to have our experienced team working for you to provide the latest market information and the very best advice. Obtaining all of the required licenses for operating your business can be a complex task. We have over 15 years of experience dealing with the Michigan Liquor Control Commission, Lotto Commission, and other licensing entities and can provide complete "start to finish" licensing assistance. Let us help you understand what licenses are required as well as preparing the paperwork for you. Ask us today how we can help you reach your goal of owning a business. If you're new to the area or just looking to relocate to another part of Michigan, we are here to help! Five Star Real Estate was founded in 1996 and has since successfully closed more transaction sides than any other Grand Rapids brokerage for the last 5-years running. From your standpoint as a home buyer or seller, what does this mean? It means that you can know your Five Star Realtor® has knowledge to provide you with insight and advice to make your real estate goals become your reality. Your Five Star Realtor® is equipped with the best tools to market your home if you are selling, and to find the perfect new home if you are buying as well as oversee all details that will result in a successful closing. 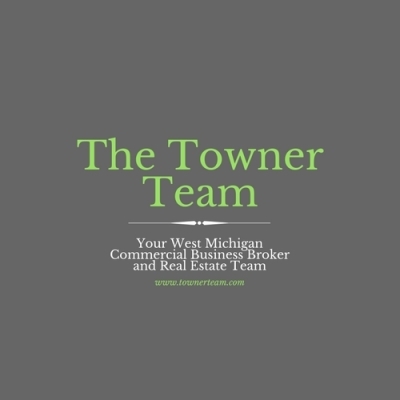 The Towner Team is your premier team of Commercial and Residential Realtors® in West Michigan.